Divide the caramel between 4 x 1-cup-capacity (250ml) glasses. 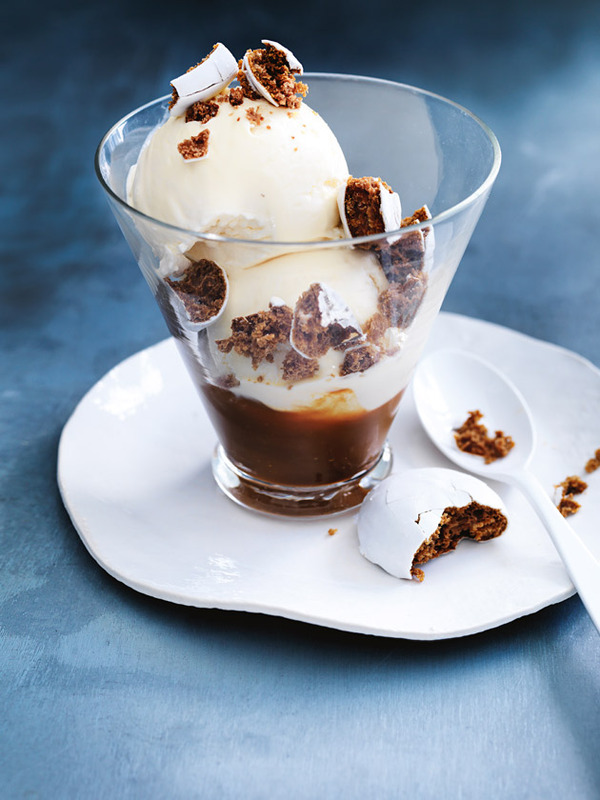 Top with scoops of the ice-cream and serve scattered with the gingerbread. Serves 4.